Mother’s Day in Qatar is all about celebrating that special person in your life, and some dining outlets are letting moms eat for free! If you have yet to decide where to celebrate Mother’s Day then check out the following dining promotions. Make sure to book in advance as some venues do get booked out. Although every effort has been made to ensure that all details here are correct, it is advisable for you to double-check all details directly with the venue. Usually you may not use vouchers or other promotions at the same time, and do be aware that venues may amend dining promotions at their discretion, so always check that you understand what a specific promotion offers. Have fun celebrating with your loved one. 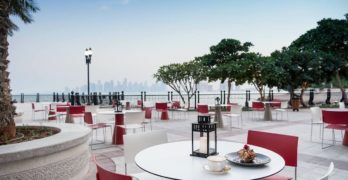 WHAT: A Mothers only breakfast at Market restaurant in W Hotel. 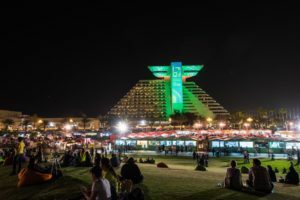 WHAT: Seafood night at The Square, with seafood delicacies from around the world. All mothers dine complimentary when they come as a family of three, and they will also take home a sweet surprise! WHAT: Lunch or dinner buffet at Hyde Park Coffee Shop – book a table of four, and mom dines for free! WHAT: Enjoy dinner at Al Matbakh (Arumaila Boutique Hotel) and your mom dines for free. WHAT: Dine at Choices or The Cellar and moms get to dine for free with one paying guest (max 2 complimentary diners per table). WHAT: Golden High Tea at Cafe Murano, with special rose cocktail and complimentary rose. 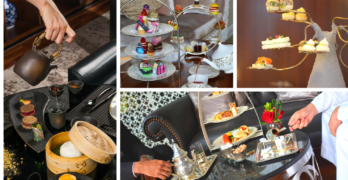 WHAT: High Tea for 2 at Caramel, City Centre Rotana Hotel. PRICE: QAR100 per person, with 50% off total bill on the day.